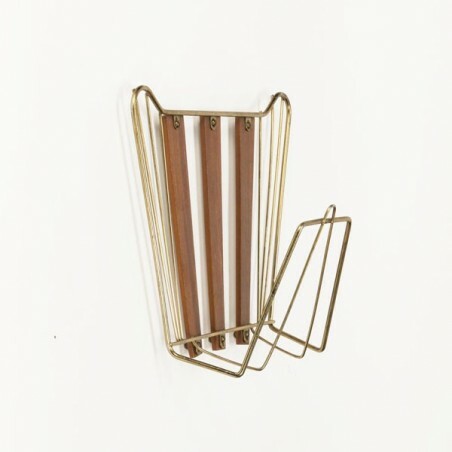 Vintage wall rack, suitable for newspapers or other post to keep. 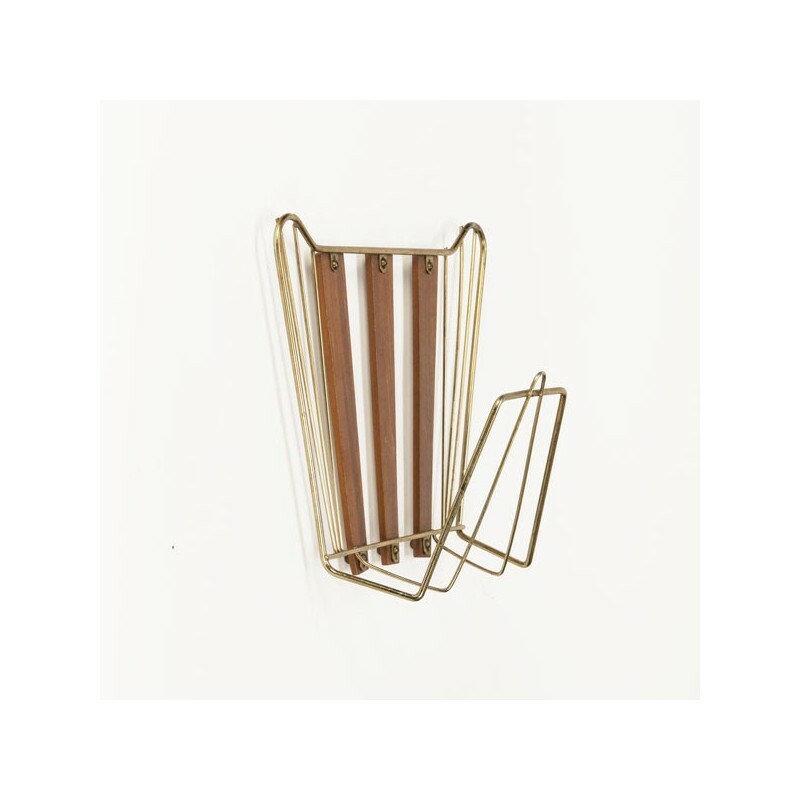 The rack is made of metal, brass colored and has wooden details. The condition is good, see also the detailed pictures. 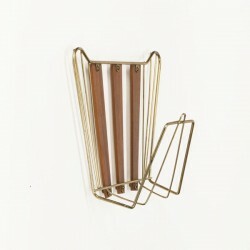 The size is 27 cm H / 31 cm W / 14 cm D.